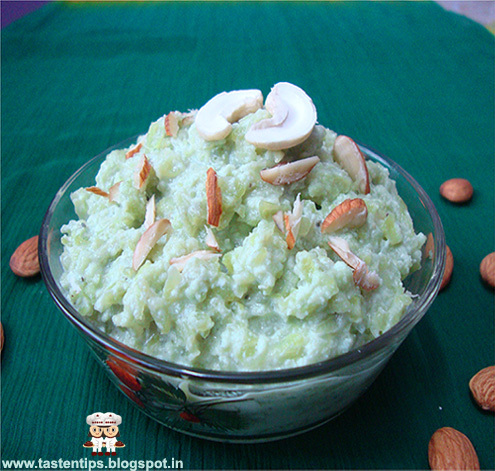 halwa. 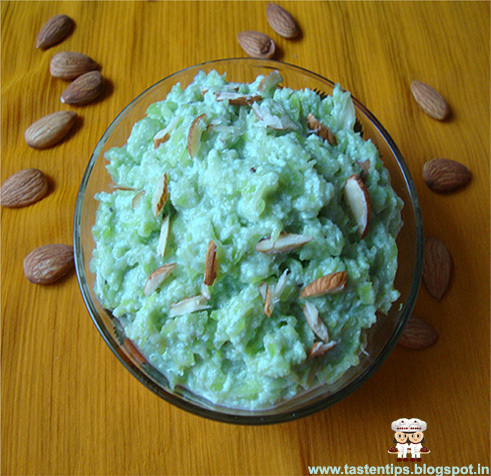 The main ingredients are lauki, mawa, sugar and dry fruits. 1. Peel, wash and grate lauki. 5. Add cardamom powder, mix well, cook for another 2-3 mins. 6. Transfer it into a serving bowl. 2. 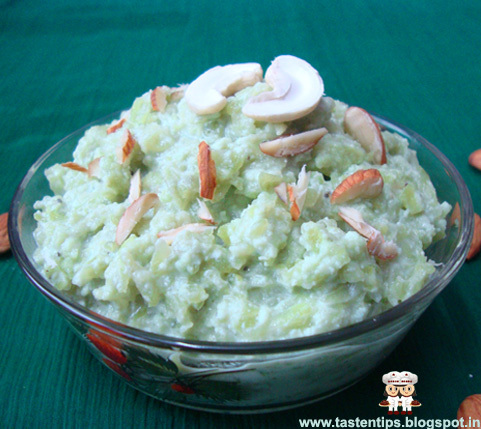 Some ghee can also be added in halwa. 3. Honey can be used in place of sugar. That is one delicious bowl of halwa!! Looks so good..
Looks wonderful!! Would love to make it soon!